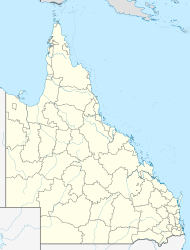 Wamuran is a small town and a locality in the Moreton Bay Region in Queensland, Australia. It is located west of the larger centre of Caboolture, and southeast of D'Aguilar. In the 2011 census, the town recorded a population of 2,850 persons, with a median age of 38 years. Wamuran is known for its fresh strawberries and pineapples. In the north of Wamuran are several small sections of Beerburrum West State Forest. Part of the south west boundary is marked by the Caboolture River. In the 2011 census, Wamuran recorded a population of 2,850 people, 48.6% female and 51.4% male. The median age of the Wamuran population was 38 years, 1 year above the national median of 37. 81.1% of people living in Wamuran were born in Australia. The other top responses for country of birth were England 4.6%, New Zealand 2.5%, Korea, Republic of 1.2%, South Africa 0.9%, Germany 0.7%. 91.3% of people spoke only English at home; the next most common languages were 0.9% Italian, 0.7% German, 0.7% Vietnamese, 0.6% Korean, 0.4% Afrikaans. ^ a b c d Australian Bureau of Statistics (31 October 2012). "Wamuran (Caboolture Shire) (State Suburb)". 2011 Census QuickStats. Retrieved 2008-05-17. This page was last edited on 11 July 2017, at 03:50 (UTC).